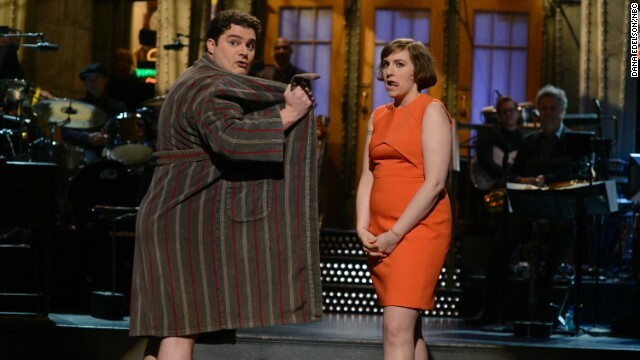 Fans tuning in to "Saturday Night Live" this weekend got to see Lena Dunham doing what Lena Dunham does best. She joked, she played various girls and yes, she got naked. It was the "Girls" star's first outing hosting the late night show and she got the issue of her stripping down on her series out of the way in her monologue. “If you’re nervous about giving a speech just imagine the audience naked," she said. "Or at least imagine they haven’t seen you naked." The actress even took a turn at impersonating Liza Minnelli post Oscars, being interviewed by Kat Williams, played by cast member Jay Pharoah. Fans seemed to enjoy the show, though the Washington Post noted that Dunham's characters seemed to be a rehash of her girls Hannah as "Dunham’s acting range is not what you would call 'extensive.'"